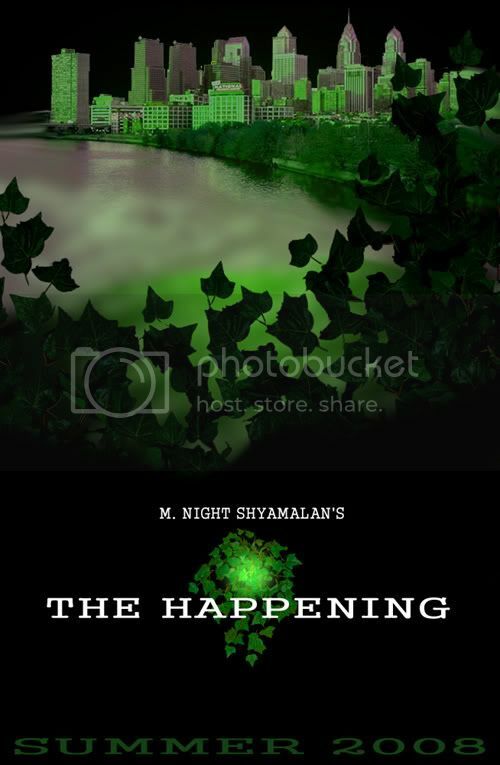 "The Happening" Poster. Fan Creation. Plus, plz join my "facebook" THE HAPPENING group for more support and fame. You can create a account and its free. That's totally awesome. Can you make me one for my FACEBOOK group of "The HAPPENING"? Please..
You can join my Facebook Group for THE HAPPENINg as well, to show more support as we do in this awesome forum and site. i don't have face book. You can create an easy quick account at FACEBOOK. are you able to use the one posted, or nah? and if not, what exactly are ya lookin for? ie. size / color scheme / etc / etc. Thanks a lot. You can make it as same size. Make the colors like "Spooky" it must create a sense of FEAR in you. SUMMER 2008 at the bottom. that is amazing. god work my friend. Page created in 0.156 seconds with 147 queries.